So, you want to travel the world. 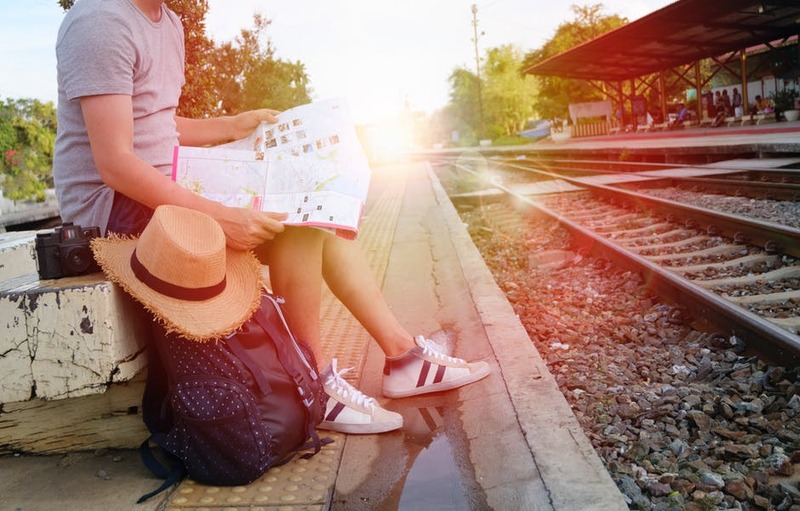 Even though you can cut a lot of costs by finding the cheapest flights and being more open to staying in hostels, travelling still costs money. If you’re not exactly loaded with cash, how do you make those horizon-expanding ambitions a reality? There might be a few methods of funding your travels you’re not thinking about. Travelers have the best stories. So, why not share yours? Starting a blog covering all the destinations you’ve been to, the sights you’ve seen, and the activities you’ve enjoyed is more than just a nice writing exercise. By partnering up with affiliate marketing companies and promoting hotels, travel equipment, and other related products and services, you could make some money by owning your own website, too. What’s more, there are plenty of companies who specialize in finding affiliates to pair with brands. Not only can you have some of the work done for you, you can have content written for your site by others so you make your money passively. Stock picture websites like Alamy, Shutterstock, and PhotoShelter are always looking for new photos. What’s more, if you take pictures relating to topics and subjects that no-one else is, you can get paid more for your picture. So, the pictures you take of some of the most beautiful locations around the world can be very profitable indeed. Just do note that the pictures have to be high-quality, so smartphones might not be the best equipment for the job. With the right trading software, you can connect to the stock, forex, and bonds markets anywhere in the world. Learning about the markets is easier than ever, too, with many online brokers offering tutorials and even free trials to find your way around them. Just do be wary that trading on the markets can be risky, so learn how to manage that risk. You might not necessarily make a lot of money doing this, but you can cover the costs of lodging if you connect with overseas homeowners who are looking for house sitters. Websites like MindMyHouse can help you travel with significantly reduced costs, which is just as good as making money in most people’s books. There’s a lot of demand for people working in some of the best locations to visit across the world. Cruise ships and holiday lodging spots are always looking for performers if you have a decent singing voice. Chalets are ever in need of managers, chefs, and ski instructors. East Asia has tons of opportunities for people who would like to try life in another country while teaching English. Wherever you want to go in the world, there’s part-time work as well as volunteering opportunities that can net you a free working vacation. Making the money to travel as you travel might seem like a risky endeavour but the truth is that the internet is making it easier to find extra cash in all sorts of ways. If you’d like a once-off shot at luck, why not play an online lottery to stand the chance to fund your travels for a lifetime. It’s still a good idea to save a little before you start your travels, but the methods above can keep you going no matter where you are.